Every morning, most of us would need that cup of coffee or tea as a ‘pick-me up’. In fact, we have gotten too reliant on it that we cannot function effectively without that morning cuppa. Without the timely intake of the daily cup of coffee or tea, we may suffer immediate withdrawal symptoms such as headaches, fatigue and a foul mood. Initially when we start taking coffee or tea, it may work to boost our alertness. But with time, we may find that we would get more reliant and addicted to the world’s most consumed drug- which is so widely consumed because it is legalised. The emotional association that comes with coffee/ tea/ chocolates also causes the habit being harder to break- as anything that tied to our emotions forms an invisible bond that would gradually lead to deterioration of our health. In Chinese healing, excess intake of caffeine would cause internal dampness- which would manifest in arthritis. 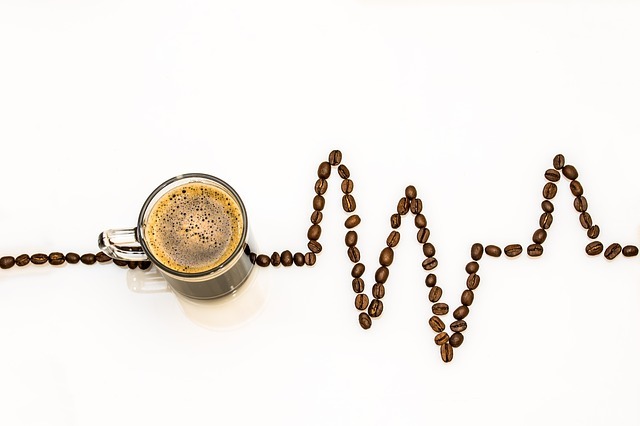 If we find our stress threshold is not as what it used to be- ie little things would just get us all worked up, and if we are easily tired, then caffeine may be a cause if we are a regular coffee/ tea drinker. There may be even an increase level of chest discomfort. Our hands may start to shake involuntarily. These symptoms may gradually abide when we gradually cut down and wean off our intake of caffeine in forms of coffee, tea, chocolates and colas. Picture the scene: I’m on a busy tube train; I have a lot more stations to go before I reach my destination but I have to get off the train and I have to get off NOW. I can hardly breathe and I’m not sure where I am; I just know I need to get away from all the people around me. Panic attacks were part of my day; they happened frequently and without warning and I couldn’t seem to find a cure. I often had to desert my friends in a pub or club. I would leave restaurants before the main course had been served. As you can imagine, all this and sleepless nights as well led me to feel very anxious. At this time I rated my anxiety levels at 8 on a scale of 0-10. But all of that is now behind me. I thought my problems were psychological but then I learned that most of my symptoms could be alleviated by cutting down on caffeine. I cut down on coffee and reduced my intake of tea, replacing these with herbal teas and water. I could now give my anxiety levels a score of only 2 out of a possible 10. Some months later I have now changed some of the foods that I eat, and instead of diary foods I now have more soy products. I have also introduced more organic fruits and vegetables into my diet. Recently I have changed to eating foods that are wheat- and gluten-free and I find that I now sleep well and have lots more energy. And the panic attacks? They are a thing of the past.